Summer in Chicago is delightful. Step outside, and you can’t help but smile. It’s warm enough for shorts but not so hot you want to cuss. The city is green, the parks are lush, and the breeze off the lake reminds us why we tromp through snow and ice for six months every year. 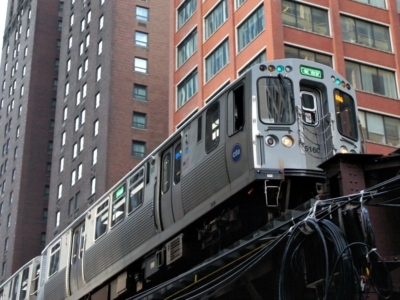 Summer in Chicago is alive – alive with activity, alive with visitors, alive with energy. Every weekend there’s a neighborhood street festival (or 10) to explore. There’s a movie in a park practically every night of the week. Restaurants spill out onto the sidewalks, and everybody dines al fresco, and rooftop bars are even more crowded than usual. Every summer locals temporarily forget all the reasons the city frustrates us and we soak up every drop of goodness while the season lasts. We know summer is fleeting, that’s part of the reason it’s so glorious. With only a few months each year to plow through our summer bucket lists, we don’t waste one minute. We can’t there’s too much to see and do. Pack a picnic basket, load up the cooler, and clear your calendar for the rest of the afternoon. 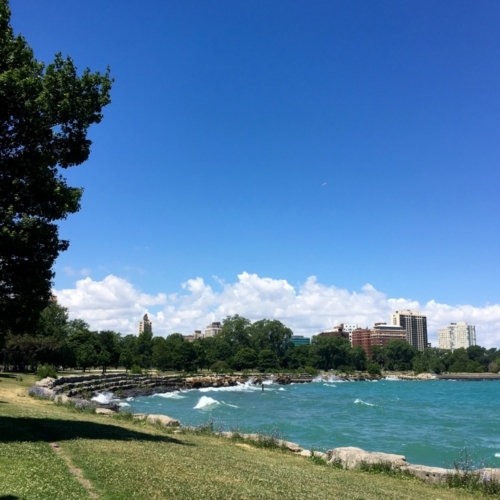 If a picnic is on your summer to-do list, Promontory Point is picture perfect. The man-made peninsula in Hyde Park has shady trees and plenty of open green space for soccer, Frisbee, or whatever you’re playing to work up an appetite. Prefer just to relax? There’s ample room for that too. 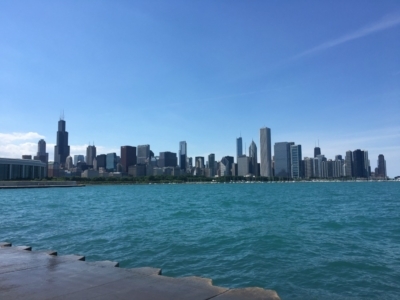 Views of the skyline and Lake Michigan make it a picturesque place to chill all day long. And while it doesn’t offer a sandy beach, the shallow water along its north side is perfect for swimming. So bring your floaties. 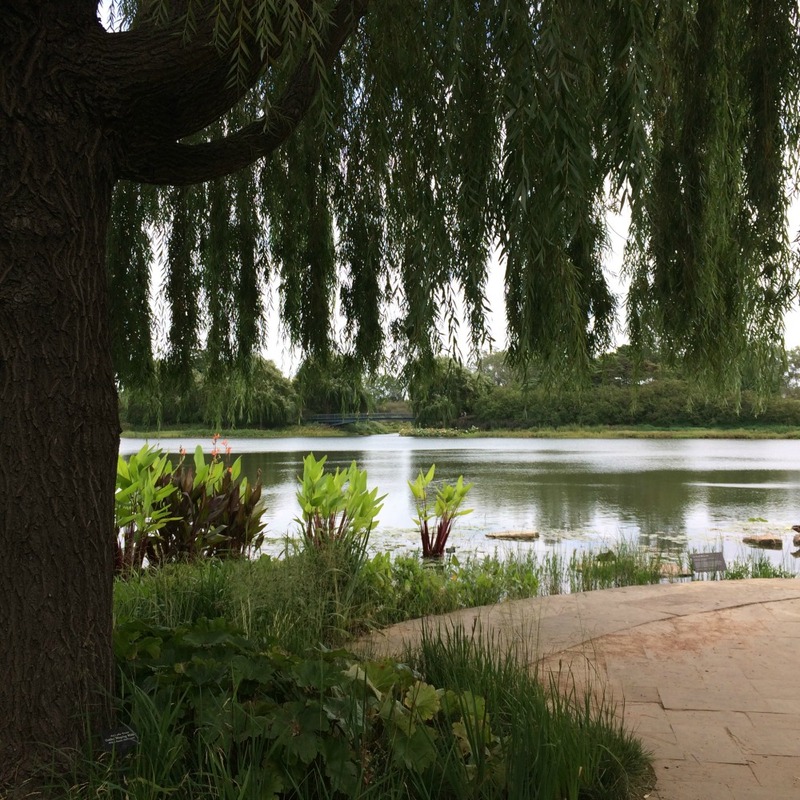 One of the many cool things about the Chicago Botanic Garden is that even urban folks who aren’t too sure about outdoorsy activities will feel at home. Taking a stroll through the garden is like a citified nature hike! Zero knowledge of plant life is required since basically everything is labeled, and you’re likely to learn a few things as you wander the paved paths and enjoy the colorful scenery. 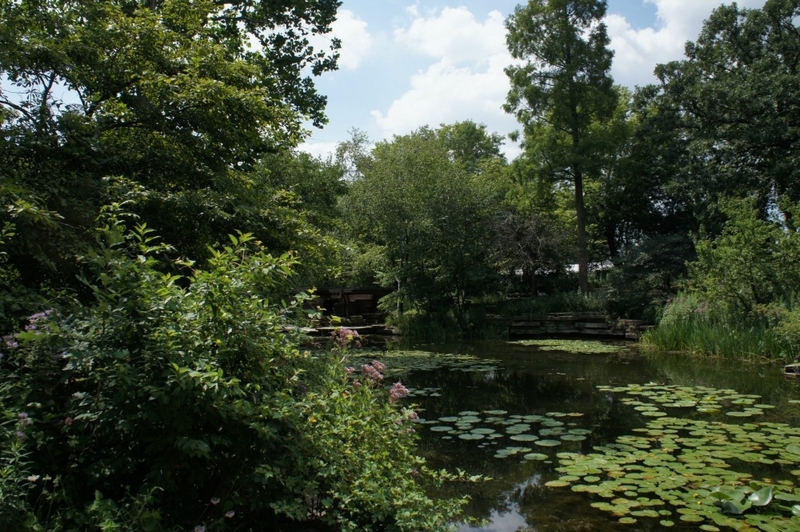 The garden covers 385 acres of land about twenty miles north of Chicago. It’s easily accessible by Metra train, or bike and summertime is filled with programming for all ages including free concerts several nights each week. 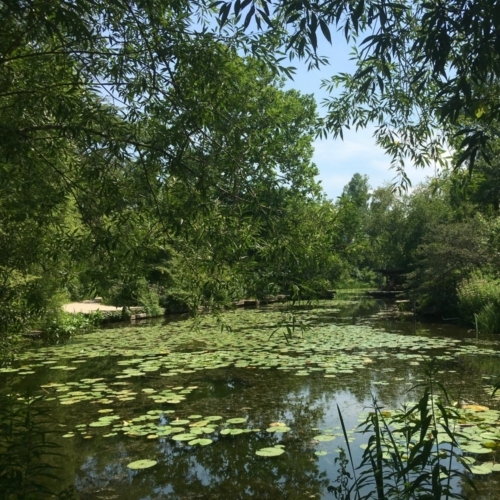 Hidden away behind the Lincoln Park Conservancy, the Alfred Caldwell Lily Pool is the ideal spot to find a moment of Zen in the midst of urban madness. This national historic landmark, designed by its namesake, dates back to the 1930s and underwent a restoration at the beginning of the 21st century. Behind an unassuming wooden gate, the garden is lush and slightly wild. Nooks and crannies give visitors a spot to internalize the park’s calm quiet. It’s teeming with wildflowers and occupied by ducks, dragonflies, and a squadron of white butterflies. 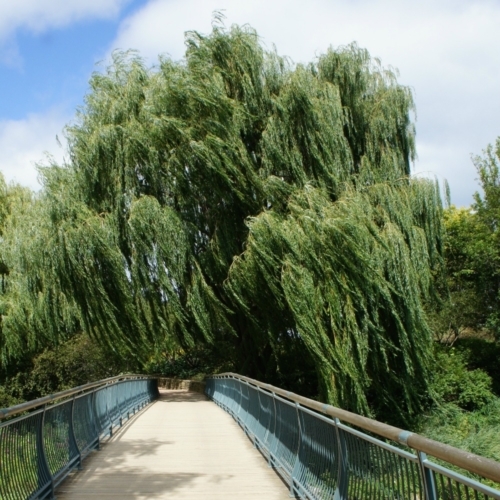 It’s a tranquil spot that somehow manages to be both relaxing and energizing. I’m not a huge fan of sand. It starts in your toes, ends up in your shoes, and before you know it it has invaded every part of your life. So why then, have I added 31st street beach to my summer bucket list? First, it’s because I realize my aversion to sand is likely a minority opinion. Second, it’s because the 31st street pier enables sand-o-phobes like me to make a beach their happy place! 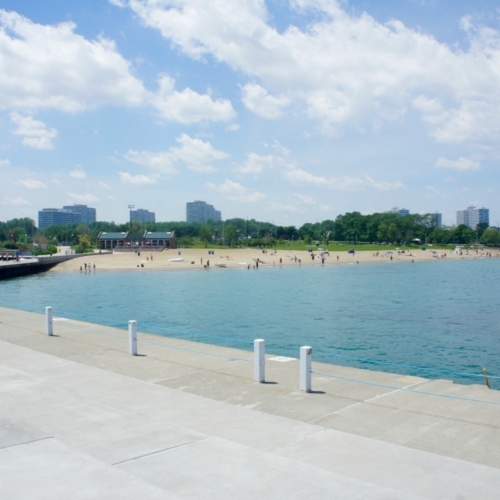 Beaches in Chicago are hot spots during the summer. Sand volleyball, water sports, and sunbathing make it to the top of most Chicagoan’s to-do lists. 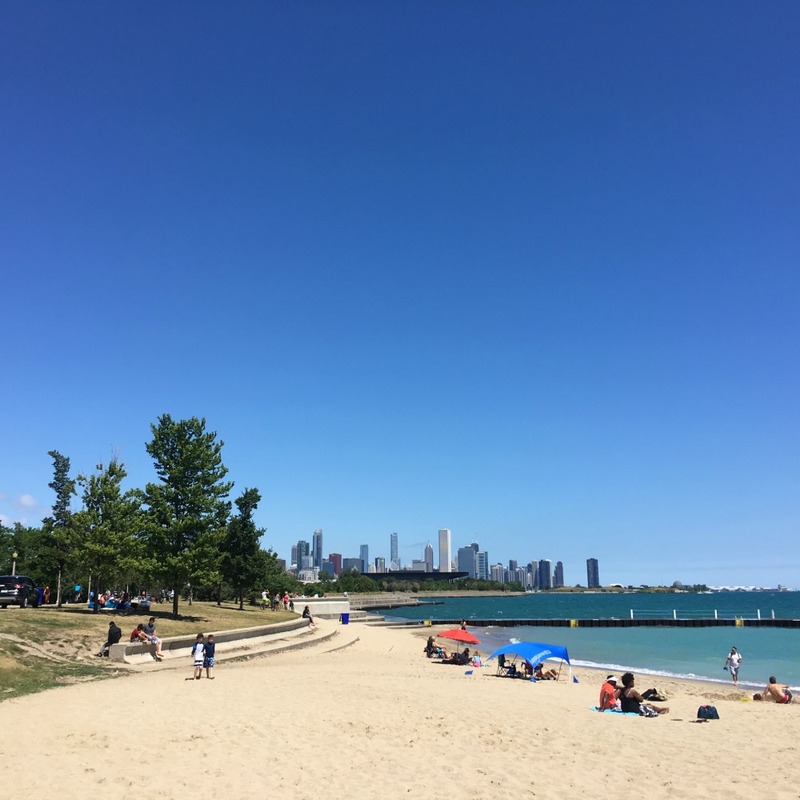 You can avoid fighting for prime beach blanket position, by heading a few miles south of the Loop to 31st street beach. 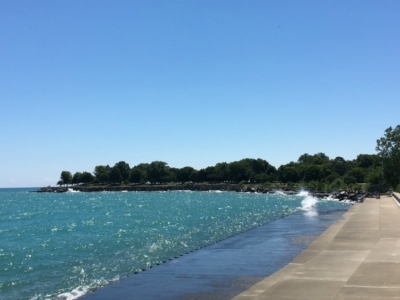 Once you’re done playing in Lake Michigan’s waves, have a bite to eat at the canopied picnic area and enjoy epic views of the skyline. The city continues to work hard to clean up the river, and today the Chicago Riverwalk is a hot commodity. It currently stretches from the shore of Lake Michigan to the confluence of the three branches of the Chicago River (aka “the Y” and the inspiration for the city’s municipal device) but here’s hoping it will continue to expand along both banks. The pedestrian walkway is perfect for recreation and relaxation — hop aboard an architecture cruise, jump into an urban kayak, grab a glass of wine or treat yourself to a little gelato. 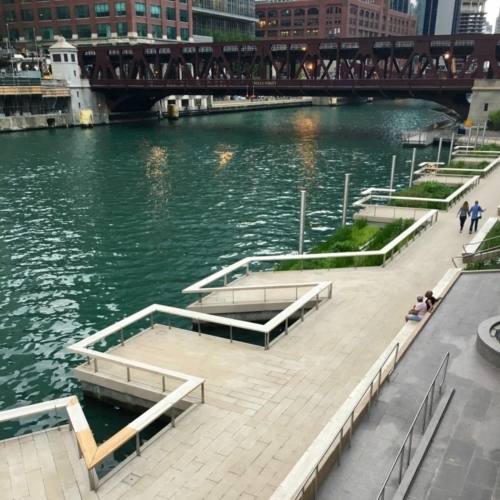 The Riverwalk is a vibrant celebration of Chicago’s second coast. 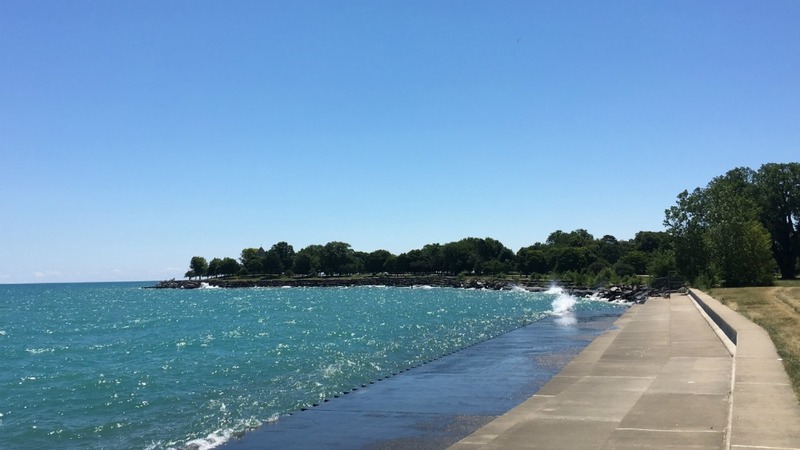 While I’d never declare summer to be Chicago’s best season – they each shine in a special way — others might easily make that case. 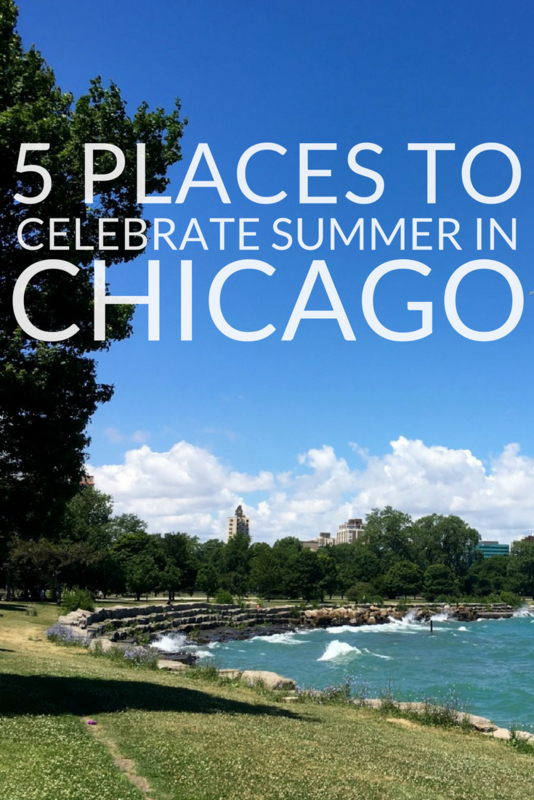 With plenty to do, see, and experience, summer in Chicago should never be taken for granted. It’s short but magical, and all of its goodness gives Chicago lovers like me plenty to brag about.